(APN) ATLANTA — On Monday, September 17, 2018, U. S. District Court Judge Amy Totenberg declined to issue a preliminary injunction that would have mandated paper ballots for Georgia’s November 06, 2018 General Election in the Curling v. Kemp lawsuit. Georgia voters will therefore continue to use touchscreen electronic voting machines for what election integrity advocates hope will be the last time. Judge Totenberg concluded that with the election only weeks away, that to change to paper ballots now would put an unreasonable burden on the government. However, the federal case to obtain a permanent injunction continues, activist Garland Favorito tells Atlanta Progressive News. The count for preliminary injunction is only one form of relief sought by the lawsuit. The standard or threshold for winning a preliminary injunction is much higher than a permanent injunction. Judge Totenberg heard overwhelming evidence from experts that the current system is vulnerable to hackers from foreign governments and cyber-sophisticated individuals. She was sympathetic of the Plaintiffs’ case, and critical of the Defendants’ position in her ruling. However, Totenberg wrote in her decision that the Plaintiffs did not bring their preliminary injunction motions in a sufficient time span to allow for thoughtful and remedial relief. On Wednesday, September 09, 2018, Judge Totenberg heard both sides in front of an overflowing crowd. Atlanta Progressive News attended the hearing. Georgia Election Director Chris Harvey testified for the defense that it is too late to switch to paper ballots seeing as how early voting begins October 15, 2018; and that is not enough time to order, print, and distribute paper ballots, or to train poll workers in the usage of paper ballots. Harvey said he believes that paper ballots are susceptible to fraud, being lost or stolen, recording votes incorrectly, or not having enough scanners to count the paper ballot votes. Richard Barron, Director of Registration and Elections for Fulton County, said he was also concerned that changing the voting system now would create confusion and lead to long lines at the polls. Defendants also pointed to the option for Georgians to choose to vote by absentee ballot, which is a paper ballot you mail in, instead of using the E-voting machines on Election Day or during early voting. The Plaintiffs cited warnings from cyber security experts, computer scientists, and a National Academy of Sciences (NAS) report that state that Georgia’s touchscreen E-voting machines are vulnerable to cyber-attacks and have already been targeted by Russian hackers in 2016. The Plaintiffs provided the court with expert witnesses and computer scientists who had documentation to prove their claims that Georgia’s E-voting system, which lacks a verifiable paper audit trail, has not been secure or safe since 2002. Alex Halderman, a professor of Computer Science at the University of Michigan who has testified before the U.S. Senate Select Committee on Intelligence, was the first expert witness for the Plaintiffs. Dr. Halderman demonstrated for the court how easy it is to change votes by inserting a memory card infected with malware that is invisible to poll workers and can change the results of an election. He pointed to many vulnerabilities in which foreign governments or dishonest insiders could interfere with Georgia’s elections. Election results can be altered without an attacker having physical access to a voting machine and without machines being connected to the Internet. They could access the central administration system, allowing malware to spread to many machines, he said. 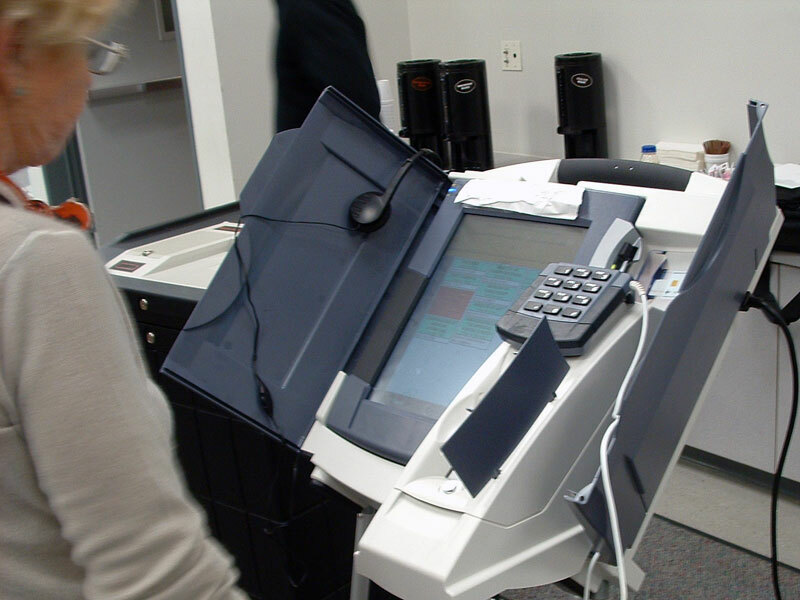 An attacker could attack election technology vendors and support contractors, and could spread malicious code to election equipment that services millions of voters. Halderman cited that in Iran, the Stuxnet virus traveled on USB keys and infected machines that were air-gapped or disconnected from the Internet. Computer scientists and voting integrity advocates have long warned about security problems, but Georgia’s election officials continue to deny well-documented research from cyber security experts that the machines can be remotely hacked while disconnected from the Internet. “I don’t think there’s anything Georgia can do to secure the touchscreens in use today,” Halderman said, recommending hand-marked paper ballots as a way to prevent election tampering. Richard DeMillo, Professor of Computing at Georgia Institute of Technology and former cybersecurity director at the Department of Defense, cites the National Academies of Science Report that recommends all U.S. election systems should use paper ballots by the 2020 Presidential Election to protect the integrity and security of the elections. NAS also recommended that every effort should be made to use paper ballots in the 2018 federal midterm election. Former Governor of Georgia, Roy Barnes, a Democrat now an attorney for Kemp’s defense team, cross-examined Halderman and questioned the fact that the Direct Recording Electronic (DRE) machine he used was not one of Georgia’s DRE machines. “You don’t know anything about Georgia… You don’t even know where the Big Chicken is,” Barnes shouted pointing at Halderman. The Big Chicken is a Kentucky Fried Chicken restaurant in Marietta, Georgia. “Paper ballots are more secure than the computers in use unless you have corrupt election officials in Georgia,” Halderman responded, unfazed by Barnes’s badgering. The defense team cited old case studies that do not apply to the situation today, where Russians are probing into U.S. election systems and cybersecurity experts like Logan Lamb are pointing our vulnerabilities that remained open for at least six months. “Times have changed and facts have changed… It would be more helpful if the state would point to cases dealing with the issues we are faced with now,” Judge Totenberg said. “There’s not a single cybersecurity expert on their side,” David Cross, attorney for the plaintiffs, observed. Georgia officials knew the equipment was vulnerable before the 2016 election, according to McClatchyDC.com, which obtained emails through an open records request. Only five U.S. states exclusively use touchscreen voting machines that have no verifiable paper audit trail to confirm the correctness of your vote. “Georgia has been frozen in time for the last sixteen years, and has been left behind by virtually every other state,” David Cross, a lawyer for the Plaintiffs said. In her ruling’s conclusion, Judge Totenberg said she is critical of State election officials for having their head in the sand in dealing with the major data breach at the Center for Elections Services and a host of serious security vulnerabilities permitted by their outdated software and system operations. “If a new balloting system is to be launched in Georgia (before the 2020 elections), it should address democracy’s critical need for transparent, fair, accurate, and verifiable elections process that guarantee each citizen’s fundamental right to cast an accountable vote,” Judge Totenberg’s ended the decision. The battle between voting integrity advocates and Georgia Secretary of State’s office has been brewing for years over the need for a verifiable paper audit and it not over yet as this case heads for appeal. Georgia does need a verifiable way to account for each citizen VOTE. Thanks to everyone that stands with the citizenry and for the integrity of the VOTE of Georgia.